Emergency First Response Unit, Crime Prevention, Disaster Relief, everyday Legal Assistance, and Referrals. We are a Voluntary standby Task force in assistance with your local community, and emergency departments, in elevating..public safety and awareness, In (CERT) Crime prevention, CPR & First Aid, Fire safety Awareness, and Disaster Relief situations, utilized as a secondary back-up and first hand Emergency assistance Voluntary group, just as many other groups out there, the difference is our Spirituality response system, as Chaplains, and Clergy. We have well trained Ministerial Chaplains on duty 24/7 around the clock for prayer, spiritual motivation & encouragement, and Emergency Back-up Assistance. A Program created by the people for the people, as a Victory Alliance In our efforts in the fight against terrorism. (d) "Performance of duty" includes any work in and about the volunteer law enforcement officers' quarters, police station, or any other place under the direction or general orders of the officer having the authority to order a volunteer law enforcement officer to perform the work; providing law enforcement assistance; patrol; drill; and any work of an emergency nature performed in accordance with the rules of the law enforcement department. (2) Any municipal corporation maintaining and operating a law enforcement department may elect to provide coverage under this title for all of its volunteer law enforcement officers for death or disability occurring in the performance of their duties as volunteer law enforcement officers. Any municipal corporation electing to provide the coverage shall file a written notice of coverage with the director. (3) Coverage under this section shall be for all the applicable death, disability, and medical aid benefits of this title and shall be effective only for injuries which occur and occupational diseases which are contracted after the notice of coverage has been filed with the director. Nothing in this subsection shall be construed to prohibit a municipal corporation from covering its volunteer law enforcement officers and other volunteers under RCW 51.12.035(2), as now or hereafter amended, for medical aid benefits only. (4) Volunteer law enforcement officers for whom municipal corporations have given notice of coverage under this section shall be deemed workers or employees, as the case may be, and the performance of their duties shall be deemed employment or in the course of employment, as the case may be, for all purposes of this title except where expressly excluded or where the context clearly requires otherwise. (5) All premiums, assessments, contributions, and penalties due under this title because coverage is provided under this section shall be the obligation of and be paid by the municipal corporation giving the notice of coverage to the director. (6) Any municipal corporation electing coverage under this section shall maintain a time log in which the number of hours worked by each of its volunteer law enforcement officers is recorded. The log shall be made available for inspection upon the request of any authorized employee of the department. (7) Any municipal corporation electing coverage under this section may withdraw the coverage by filing a written notice of the withdrawal with the director. The withdrawal shall become effective thirty days after filing the notice or on the date of the termination of the security for payment of compensation, whichever occurs later. At least thirty days before the effective date of the withdrawal, the municipal corporation shall notify each of its volunteer law enforcement officers of the withdrawal. Withdrawal of coverage under this section shall not affect the liability of the department or self-insurer for compensation for any injury occurring during the period in which coverage was provided. Clergy, Watchman, or Chaplain Officer..
a person holding a position of command or Authority in a public, civil, or ecclesiastical office, Clergy Members. Pursuant, and Protected by the 1st Constitutional Amendment Act, and holding Clergy-Penitent Privileges. Traditionally, a chaplain is a minister, such as a priest, pastor, rabbi, imam or lay representative of a religious tradition, attached to a secular institution such as a hospital, prison, military unit, school, police department, university, or private chapel. The word "chaplain" refers to representatives of the Christian faith, it is may be applied to people of other religions or philosophical traditions–such as the case of chaplains serving with military forces and an increasing number of chaplaincies at American universities. In recent times, many lay people have received professional training in chaplaincy and are now appointed as chaplains in schools, hospitals, universities, prisons and elsewhere to work alongside, or instead of, official members of the clergy. The concept of "generic" and/or "multifaith" chaplaincy is also gaining increasing support, particularly within healthcare and educational settings. Chaplains working with emergency services personnel provide the same kind of support as do chaplains working with law enforcement, and sometimes face even greater danger, working with the wounded in often very dangerous surroundings. At the scene of the September 11 attacks on New York's World Trade Center, for example, Franciscan friar and New York City Fire Department Chaplain Fr. Mychal F. Judge lost his life to flying debris from the South Tower when he re-entered the North Tower lobby of the World Trade Center, shortly after administering last rites to a wounded firefighter. 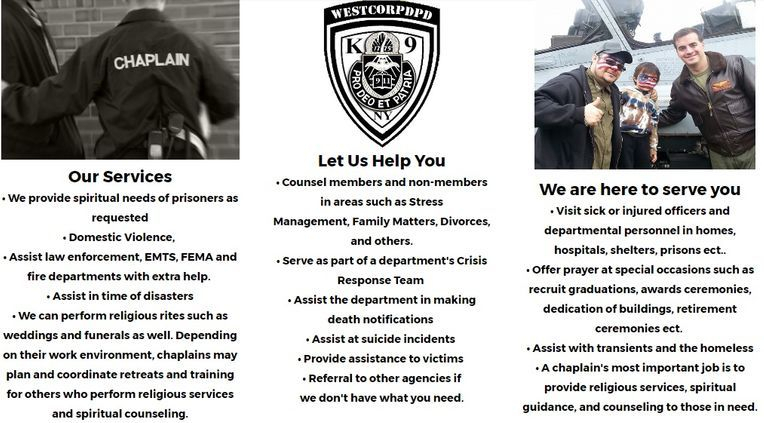 West Corp DPD Chaplain Response Officers are a voluntary workmanship and members of the Clergy, In which this group has a proprietary interest in emergency responsiveness, and assisting with the community and local emergency and government groups thereof with such tasks, we are a standby Task force in assistance with your local community in reporting such incidents to local emergency departments, in elevating..public safety and awareness, In (CERT) Crime prevention, CPR & First Aid, Fire safety, and Disaster Relief situations, utilized as a secondary back-up and first hand Emergency assistance group, just as many other groups out there, the difference is our Spirituality response system, in our Goal to show the love of the divine Heavenly Father through good Samaritan Acts. We have and are connected with well trained Ministerial Chaplains on duty 24/7 around the clock for prayer, spiritual motivation & encouragement, and Emergency Assistance.
) 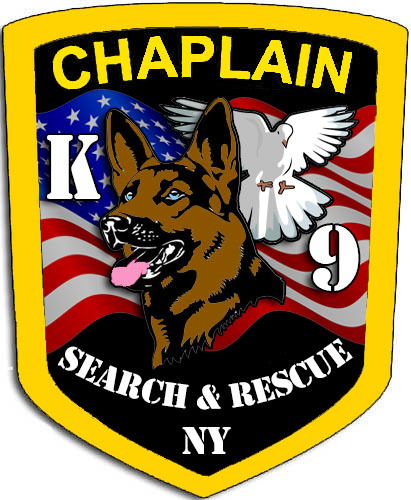 A Chaplain may be either a full, part time paid or volunteer of the Department. The department shall maintain a number of chaplains as determined by the Chief. The Chaplain’s position is a volunteer position. He or she must be mature individuals with a sound moral and spiritual background. It is the responsibility of the Chaplain’s office to provide guidance and counseling to all members of the Department, upon request. The guidance and counseling may be in matters of spiritual, personal, family, job, or other nature. The Chaplain is to maintain regular established working hours whereby he/she can be contacted by phone, radio, pager, or in person. The Chaplain is on call 24 hours each day, seven days a week, and is available to assist in emergency matters during these times. 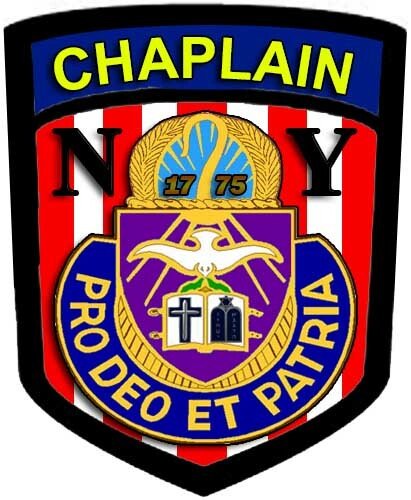 The Chaplain is also available in situations whereby the possibility of injury to personnel is high, such as large structure fires, natural disasters, attempted suicides, riots, demonstrations, homeland security issues, etc. The Chaplain is to act as a resource person in matters where a specialist is required or needed. 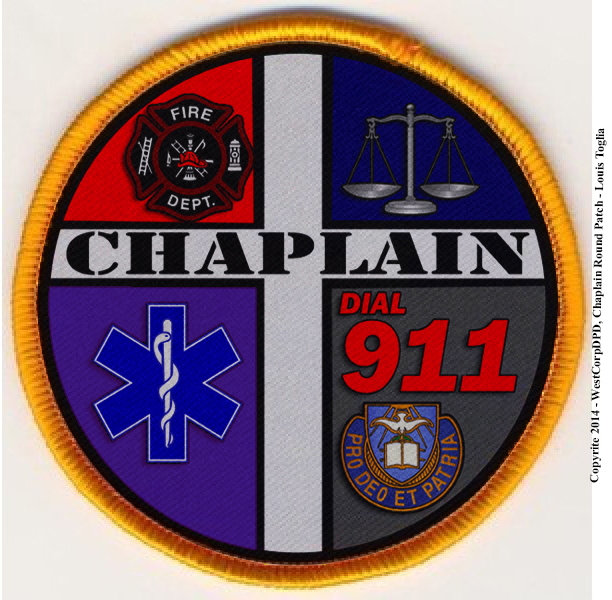 The Chaplain may be called upon to serve in situation where other agencies, Fire Department or EMS Service may not have a Chaplain and require this specialized service. As religious leaders of the community, chaplains are responsible for tending to the religious and moral well-being of service members and their families. The chaplain's responsibilities include everything from performing religious rites and conducting worship services to providing confidential counseling and advising councilors on religious, spiritual and moral matters. at least one chaplain and at least one chaplain assistant or religious program specialist are enlisted personnel. Performing other religious ceremonies and services - Chaplains also perform religious rites and ceremonies such as baptisms, funerals or memorial services and may perform marriages. Counseling for service members and their families - While chaplains are not generally licensed counselors, they are prepared to help people with various life challenges — including issues related to work, combat & and emergency response stress, marriage ceremonies, family matters, substance abuse, grief and finances. However, some of them do have professional training in these areas. These type of short term counseling situations fall under the requirement of "pastoral care." Chaplains may refer individuals to other counseling sources for long-term counseling or therapy. All such communications with a chaplain, chaplain assistant or religious program specialist are known as "privileged communications." These communications cannot be disclosed to anyone else without the written consent of the person receiving counseling. Conducting visitation with service members - Chaplain Corps members are involved in military units. Wherever they connect with military members, chaplain teams offer comfort, religious support and pastoral care. Chaplain teams elevate the resilience of military members and their loved ones in demanding environments. Developing religious education programs and religious youth activities - The chaplain provides religious instruction and is responsible to the community for religious education programs such as Sunday school classes and youth programs. They also train lay leaders who conduct religious education programs. Lay leaders are trained volunteers appointed by the command. Lay leaders help to meet the needs of a particular religious faith group when chaplains of that faith group are not available. Lay leaders are most often used in expeditionary settings. All lay leaders operate with the written approval of their faith group and under the supervision of the respective service's chaplaincy. Instructing chaplains and chaplain assistants - Your senior chaplain plans, conducts, assesses, monitors and supports the training of all subordinate chaplains, as well as chaplain assistants or religious program specialists. Accompanying service members into emergency response situations - Chaplains go wherever local & domestic Emergency management groups are needed, members are to include accompanying service members into emergency response situations . The chaplain is the chaplain assistant or religious program specialist is an emergency response management and ensures force protection for the chaplain in hostile environments. Providing emergency response stress intervention - The chaplain team forms an important component of the commander's program for operational stress control. This team provides immediate support to leaders in fulfilling their stress identification and intervention responsibilities. The team also helps train leaders in the chain of command to recognize stress symptoms and trains others in basic counseling skills to enable service members to communicate their stress. Chaplains work very closely with emergency response groups & medical personnel in training and treatment related to this important issue. All our clients and West Corp DPD Officers receive a copy of this code. If any West Corp DPD Officer violates this code – our clients and Community are to inform us – and corrective measures will be made. This enables us to remain in compliance with this code. 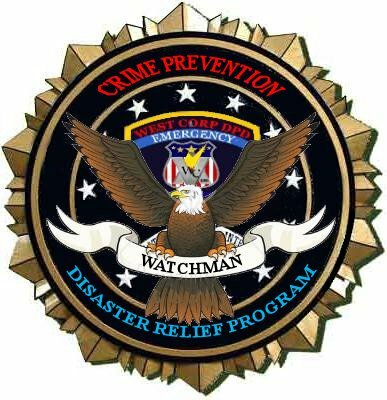 In recognition of the significant contribution of First Response to Crime Prevention & Disaster Relief, as a West Corp DPD Chaplain officer,. 1. To accept the responsibilities and fulfill the obligations of my role: protecting life and property; preventing and reducing crimes against my employer’s business, institutions, community, and neighboring states, or organizations, and fellow Officers to which I am assigned or assist; upholding the law; and respecting the constitutional rights of all persons, including our own 1st Amendment Constitutional Rights. 2. To conduct myself with honesty and integrity and to adhere to the highest moral and Spiritual principles in the performance of my Official duties .persuant to the 1st Amendment Constitutional Rights. 3. To be faithful, diligent, and dependable in discharging my duties and to uphold at all times the laws, policies, and procedures that protect the rights of others, persuant to the Good Samaritan Common law, and 1st Amendment Contitutional Rights. 4. To observe the precepts of truth, accuracy, and prudence, without allowing personal feelings, prejudices, animosities, other religions, or friendships to influence my judgment. 5. To report to my superiors, and Local Authorities, or Government without hesitation, any violations of the law or of my employer’s, client’s, or communities, and neighboring states regulations. 6. To respect and protect the confidential and privileged information of my employer, client, community, local Authorities, or Government beyond the term of my employer, except where their interests are contrary to the law or to this Code of Ethics. 7. To cooperate with all recognized and responsible law enforcement and government agencies in matters within my jurisdiction, and other locations that may need my immediate assistance. 8. To accept no compensation, commission, gratuity, or other advantage without the knowledge and consent of my employer, or Authorized officials. 9. To conduct myself professionally at all times and to perform my duties in a manner that reflects credit upon myself, my employer, the community and local Authorities, or Government. 10. To Report and assist in every aspect that is expected of me in emergency management and spiritual notifications. 11. To always keep what is being told to me in secret, in privacy and confidentiality unless otherwise what is being said may cause or commit a potential harm to oneself, or others, or such secret may be revealing a crime of any nature. 12. To strive to continually to improve my performance by seeking training and education opportunities that will better prepare me for my Official duties as a Chaplain First Response Officer of the community. 13. To carry out our Voluntary Responcibilities as Good Samaritans, Watchmen, Chaplains, and True Children of God within the scope of our 1st Amendment Constitutional Rights, and Religious beliefs and practice. This code serves as an industry accepted benchmark for quality of service. The code of ethics provides guidance to West Corp DPD First Response Officers in dealing with situations not specifically covered in written instructions. WestCorpDPD is proud to be partners with the UCOP - United Chaplains of Peace.. Non-Profit 501(c)3. For further information about the services we provide, or to contract our services. Public Assistance—Provides aid to eligible applicants seeking assistance with eligible costs for eligible work performed at eligible facilities. Funding for public assistance is divided generally into a 75 percent federal share and 25 percent state share; however, the federal share may be raised in a presidential declaration.For further information about the services we provide, or to contract our services. Eligible facilities are structures or equipment, such as public buildings, schools, hospitals, outpatient care centers, and custodial care facilities, that are owned by eligible applicants. Emergency work is assistance to meet immediate threats to life and property, such as debris removal, and emergency protective measures, such as search, rescue, evacuation, emergency medical care, food, water, and shelter. Permanent work activities include repair, restoration, and replacement of damaged facilities owned by states, localities, tribes, and eligible private nonprofits. The Stafford Act does not directly address liability protections or immunities; however, personnel and resources deployed during the response may be eligible for liability protections under other laws. Personnel deployed as part of theMedical Reserve Corps or National Disaster Medical System have liability protections through other federal laws. Responders deployed through the EMAC may be covered by state liability protections. Specified countermeasures may be covered under the Public Readiness and Emergency Preparedness Act (PREP Act).